Regram from Pottery Barn from yesterday's live video on Mother's Day and Father's Day gift ideas at Caitlin's studio. Hi guys! I need to apologize to you all because I didn't share any recipes yesterday. But I promise I had a really good reason. 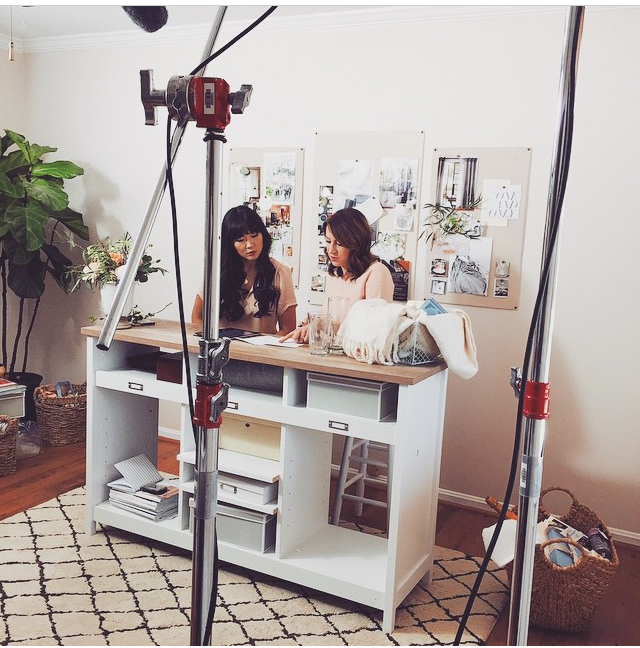 Yesterday, I was over at Caitlin's studio shooting a live video with Pottery Barn!! I've never done video before so you can imagine how nervous I was about it. Very nervous, to the point where my knees were shaking while we were streaming live! Luckily, it all went well (anyone here watch it??) despite my shaky legs and I am SO excited for today's live video segment. Caitlin and I will be talking about baby registries and the amazing design services (which are free btw!) offered by Pottery Barn Kids, but the reason you'll want to tune is to see Caitlin's nursery reveal! She hasn't shared it anywhere yet so you won't want to miss it at 3pm EST right here. Wish us luck and I promise to share recipes as soon as the live video segment is over!